The Boxing Champ Floyd Mayweather says he can make $1 billion if he makes a comeback and agrees to a 3 to 4 fight deal with the UFC. Mayweather says he was given an over to comeback to fight in the octagon. Mayweather, 40, isn’t saying who made him the offer. 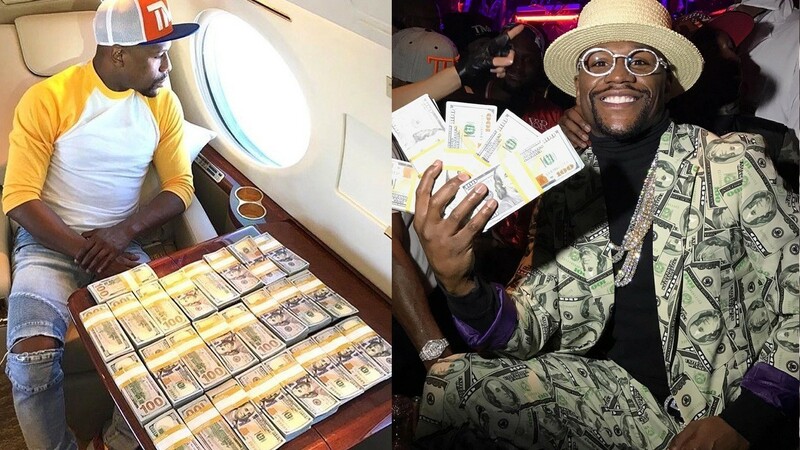 As crazy as it sounds, Mayweather in a recent Instagram live rant, flaunted his fighting skills, calling himself not just the greatest boxer ever, but the greatest athlete ever, and reminding the world of just how much money he’s made. A fight in the UFC would certainly be crazy interesting, with the most likely bout being against UFC lightweight champion Conor McGregor. Mayweather and McGregor went back and forth in the media for months prior to the fight, causing much controversy and worldwide interest as the fight day approached. The UFC would certainly have to stump up a truckload of cash in order for Mayweather to be enticed toward the octagon. Somewhere in the realm of $300 million would likely be the mark, considering that’s what he’s rumored to have been paid for his fight against McGregor. But We’re not so sure Mayweather would agree even if a deal around the $300 million he allegedly made against McGregor boxing was offered. A lot of violence can be inflicted on a person in the Octagon, and Mayweather would be virtually helpless to stop a vast amount of it. Even if Floyd was interested, a commission would have to get on board too. Would you pay to see a bout between McGregor and Mayweather in the UFC?